Britain of the early 1960s was recovering from the war, and as such, manufacturers perceived a demand for entry-level luxury cars, that had some of the features of Rovers, Jaguars, and Humbers, but without the purchase and maintenance cost of those cars. 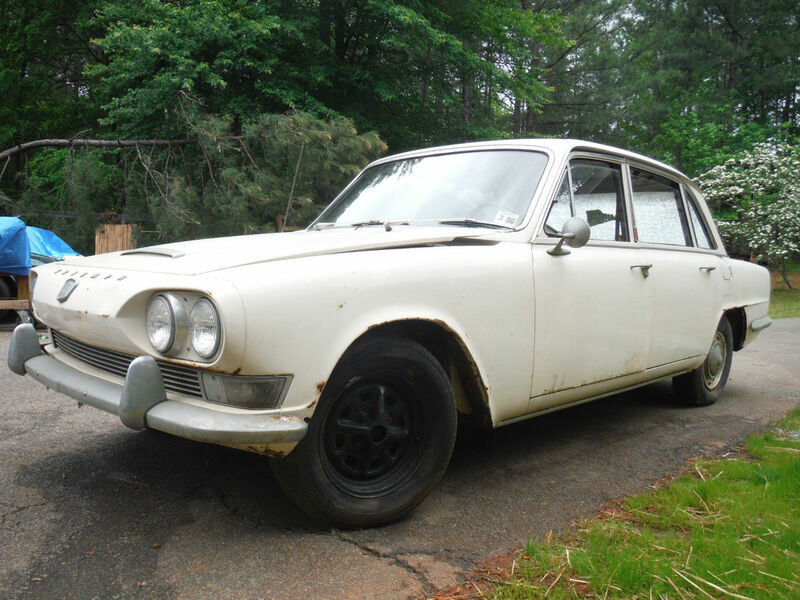 In 1963, Triumph released the 2000 sedan, coincidentally in the same month as Rover released their P6 2000. With modern styling including a nose reminiscent of the American Ford Thunderbird and Lincoln Continental, the 2000 was powered by a 1998cc six-cylinder that first appeared in the Standard Vanguard in 1960. It truly was one of the early cars in the modern idiom of the sports-luxury sedan. While they had reasonable success in their home market, a few also found takers in North America. 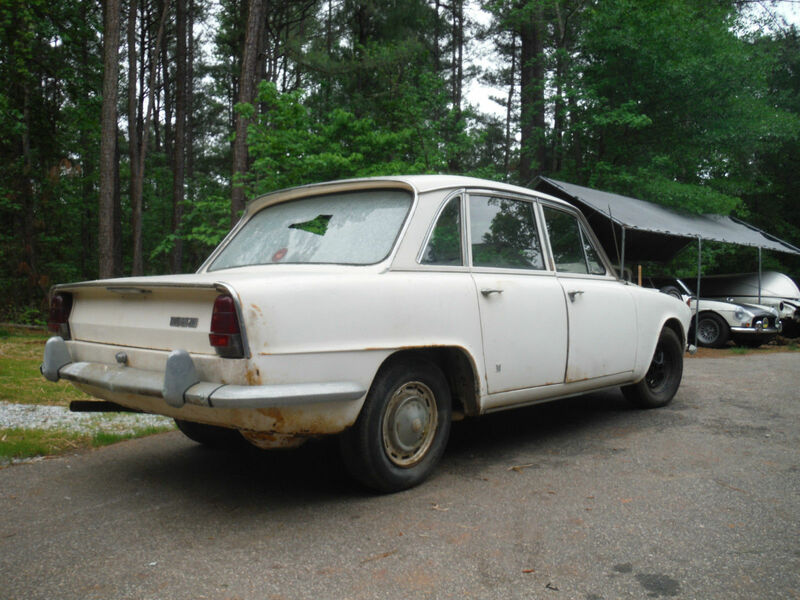 You can find this 1967 Triumph 2000 Mark 1 for sale with bidding at $1000 and 3 days left to go in Watkinsville, GA.
For an old sedan that’s been off the road for several years, this car makes a pretty good impression. Sure, it has some surface rust where the paint’s worn thin, and there are shallow dents here and there, it’s in overall decent shape. The car is said to have no real rust beyond that, and to be very complete. As you can see, the rear window has a hole in it where it cracked and subsequently collapsed in while being trailered to the seller’s home, but there is a source the seller will provide information for once the car is sold. The car comes with a stack of receipts, and the original Triumph owner’s manual. 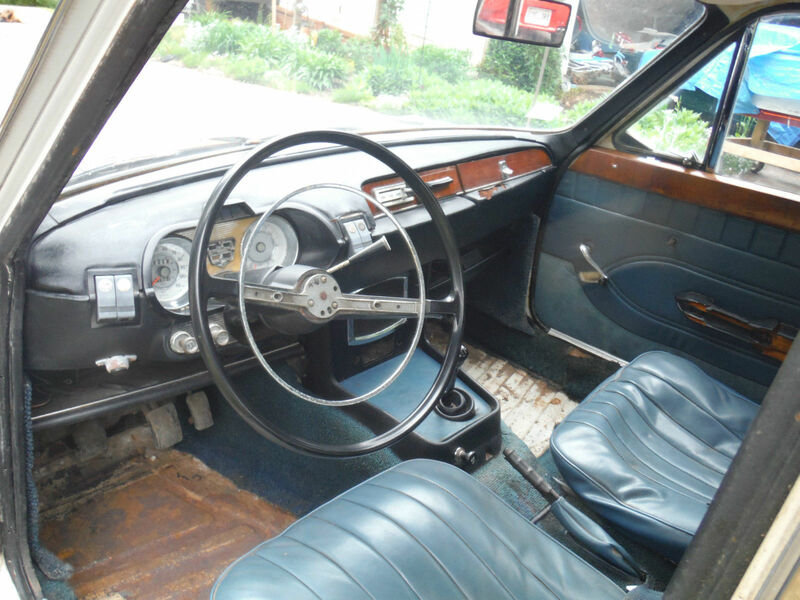 It does look like there’s some penetrating rust below the gas pedal, and the front carpets, part of the horn ring, and a small chunk of the dash are missing. The seats will also need restuffing, but other than that, the interior looks quite serviceable. Many more of these cars have survived in their home country, so finding parts should be less of a challenge than shipping them over. Notice how the dash and gauge pod replicates the styling of the front end. The carburetors and a set of spares are included with the car. Hopefully, they were pulled recently, so the engine was protected from the elements. Otherwise, things look fairly clean, if dusty. 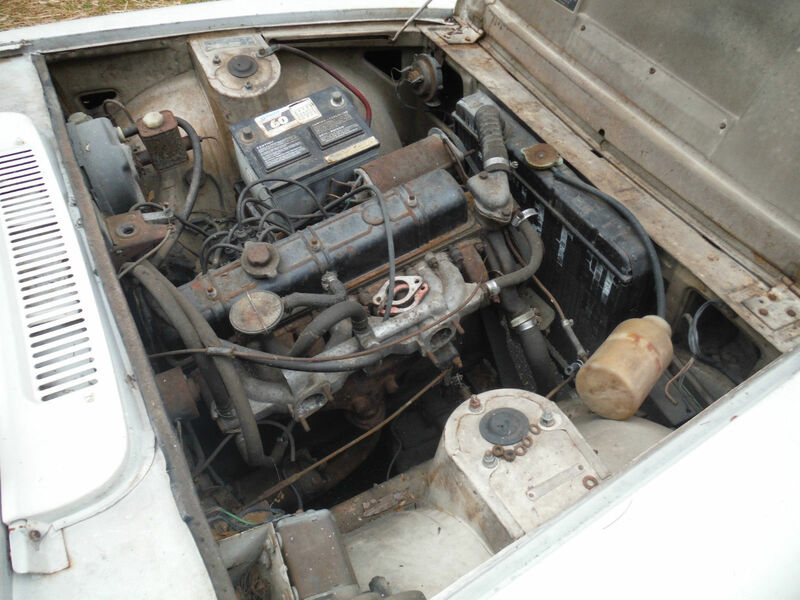 The seller says the engine’s condition is unknown, so he likely hasn’t even tried to turn it over. In original condition, it would have put out 91hp/117 lb.-ft. of torque, against the 124hp of the Rover 2000TC. It’s sustained a minor bump to its nose, and the bumper looks to be slightly bowed. Fortunately, the original wheels go with the car – the seller is using these old Rostyles since the front tires on the original wheels are destroyed. If the price doesn’t go up much further, this looks like a fun project. There should be some parts commonality with other 6-cylinder Triumphs. How likely is it you could drop in a 2.5 from a TR6? This entry was posted on May 8, 2014 at 3:07 pm and is filed under Uncategorized. You can follow any responses to this entry through the RSS 2.0 feed. You can leave a response, or trackback from your own site.